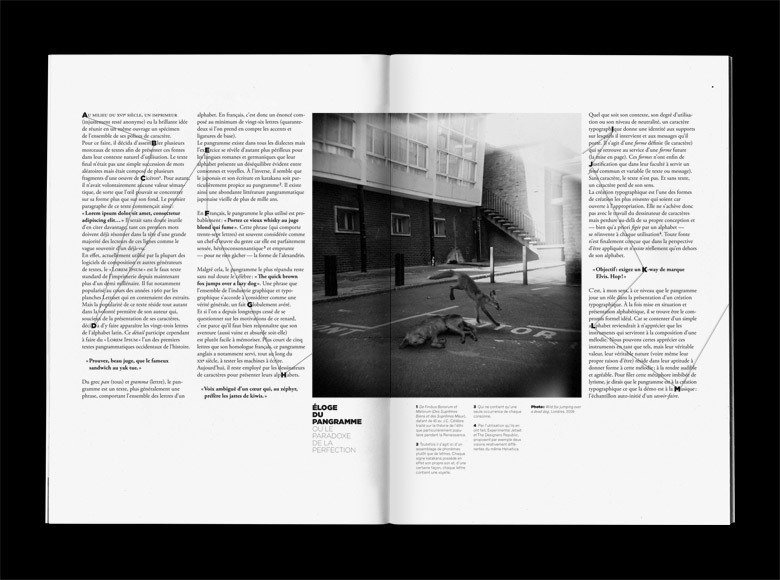 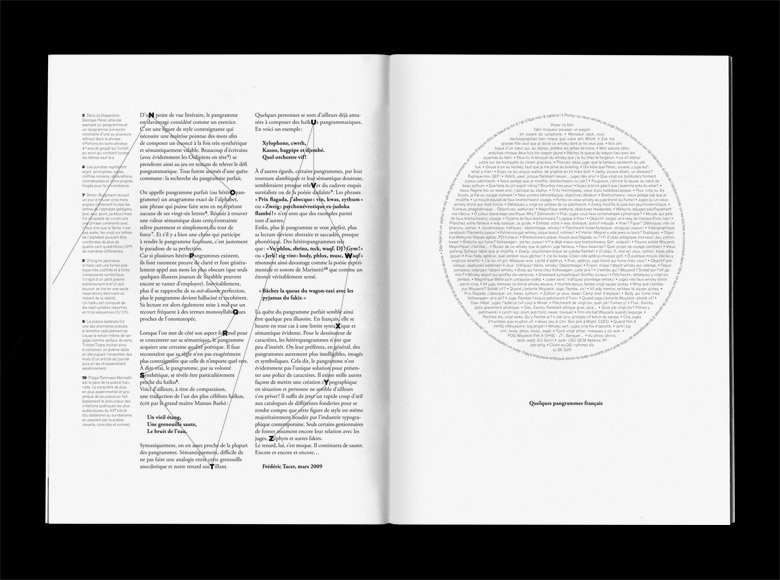 Ink is a thematic and participative review questionning the fields of graphic design. 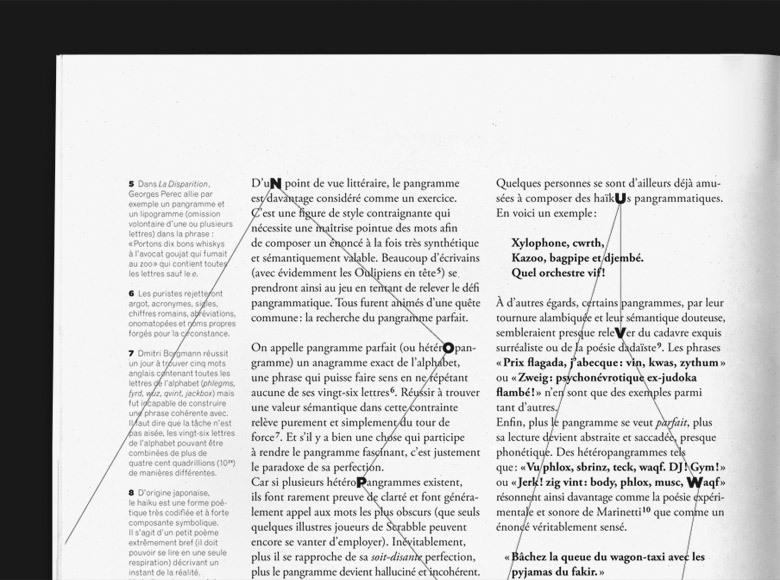 It was founded in 2006 by the french studio Superscript². 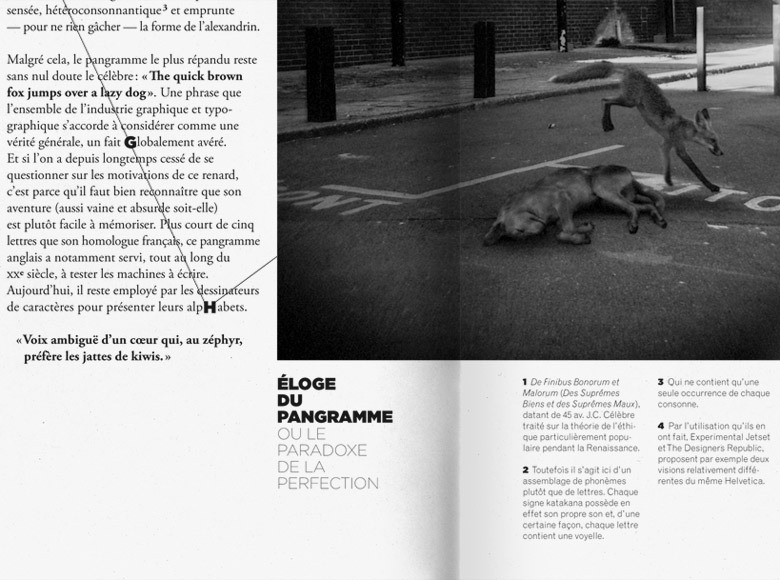 Invited to take part to the fourth issue dealing with typography, I wrote a short text about pangrams (usually used to display typefaces) and took a picture illustrating the most famous one: The quick brown fox jumps over the lazy dog.